^ Thor. British Board of Film Classification. （原始内容存档于2011-05-01）. ^ 2.0 2.1 Vaughn, Matthew. My Week: Matthew Vaughn. The Guardian (London). 2007-10-07 [2007-10-08]. （原始内容存档于2011-05-01）. ^ 3.0 3.1 Thor (2011). Box Office Mojo. [2011-09-06]. （原始内容存档于2011-07-06）. ^ Franich, Darren. 'Thor' post-credits scene: What the heck WAS that thing?. Entertainment Weekly. 2011-05-07 [2013-11-05]. （原始内容存档于2013-11-05）. ^ 5.0 5.1 5.2 5.3 5.4 Finke, Nikke. Exclusive: Chris Hemsworth is Thor. Deadline.com. 2009-05-16 [2009-05-19]. （原始内容存档于2011-05-11）. ^ Shira, Dahvi. Chris Hemsworth Gained 20 Lbs. of Muscle for Thor. People. 2011-04-18 [2011-05-11]. （原始内容存档于2011-07-04）. ^ 7.0 7.1 Huver, Scott. Exclusive: Chris Hemsworth on Thor!. Superhero Hype!. 2010-05-14 [2010-05-14]. （原始内容存档于2011-07-06）. ^ Warmoth, Brian. Chris Hemsworth Reveals Mike Tyson's Contribution To 'Thor'. MTV News. 2010-08-23 [2010-08-24]. （原始内容存档于2011-07-04）. ^ 9.0 9.1 Grant, Stacey. HERE’S WHAT 22 YOUNG SUPERHERO ACTORS LOOK LIKE NOW. MTV News. 2017-05-02 [2018-08-11]. （原始内容存档于2018-09-07）. ^ LaPointe, Sarah. Where Are They Now: 15 Young Superhero Actors. Comic Book Resources. 2018-01-04 [2018-08-11]. （原始内容存档于2018-08-17）. ^ West, Kelly. Real Steel's Dakota Goyo Joins Noah. Cinema Blend. [2018-08-11]. （原始内容存档于2018-08-17）. ^ 12.0 12.1 Kaufman, Amy; Boucher, Geoff. Natalie Portman says 'Thor' role hammers away at 'cute' stereotypes. Los Angeles Times. 2010-11-19 [2010-11-19]. （原始内容存档于2011-07-04）. ^ 13.0 13.1 Natalie Portman Joins 'Thor' Cast, Chris Hemsworth Confirmed As Lead. MTV. 2009-07-13 [2009-07-28]. （原始内容存档于2011-07-04）. ^ Grossbreg, Josh. Natalie Portman's "Weird" Reason for Hooking Up With Thor. E!. 2009-11-23 [2011-10-27]. （原始内容存档于2016-09-13）. ^ 15.0 15.1 15.2 15.3 MARVEL-OUS STAR WATTAGE: Actors Assemble For Comic-Con Panel Including 'The Avengers', 'Captain America', & 'Thor'. Deadline.com. 2010-07-24 [2010-07-25]. （原始内容存档于2011-07-05）. ^ 16.0 16.1 Marvel Studios Update: Loki Officially Cast in 2011 Thor Movie. Marvel.com. 2009-05-18 [2009-05-19]. （原始内容存档于2011-05-11）. ^ Bamigboye, Baz. A strict diet for six months? That is a Thor point. Daily Mail (London). 2009-05-29 [2009-05-30]. （原始内容存档于2011-05-11）. ^ Storm, Marc. 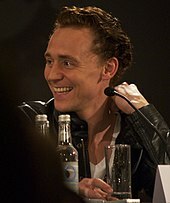 Tom Hiddleston: Thor's Mischief Maker. Marvel.com. 2011-02-07 [2011-02-08]. （原始内容存档于2011-07-04）. ^ 19.0 19.1 O'Hara, Helen. Stellan Skarsgard Joins Thor. Empire. 2009-10-05 [2011-10-21]. （原始内容存档于2011-10-21）. ^ Wigler, Josh. Stellan Skarsgard Describes 'Thor' Filming. MTV News. 2010-12-30 [2011-10-27]. （原始内容存档于2018-08-17）. ^ Cheney, Alexandra. Stellan Skarsgard on 'Thor,' 'The Girl with the Dragon Tattoo,' and Swedish Films. The Wall Street Journal. 2010-12-29 [2010-12-30]. （原始内容存档于2011-07-04）. ^ 22.0 22.1 Weintraub, Steve. Colm Feore on Set Interview THOR; The King of the Frost Giants Reveals All!. Collider. 2010-12-10 [2011-03-14]. （原始内容存档于2011-07-05）. ^ Marnell, Blair. Colm Feore's Mysterious 'Thor' Role Required 'Five Hours' of Makeup. MTV News. 2010-05-11 [2011-05-10]. ^ Seeton, Reg. Exploring THOR on Blu-ray with Actor Colm Feore. TheDeadbolt.com. [2011-09-16]. （原始内容存档于2013-10-06）. ^ 25.0 25.1 25.2 25.3 25.4 Thor Update: Warriors Three Cast. Marvel.com. 2009-11-16 [2009-11-16]. （原始内容存档于2011-07-05）. ^ 26.0 26.1 26.2 Williams, Owen. Ray Stevenson Prepares For Volstagg. Empire. 2009-12-11 [2009-12-11]. （原始内容存档于2011-07-05）. ^ 27.0 27.1 Idris Elba joins Marvel Studios' 'Thor'. Reuters. 2009-11-20 [2009-11-20]. （原始内容存档于2011-05-10）. ^ Bierly, Mandi. Idris Elba talks 'Luther,' 'Thor,' Alex Cross, why it's okay if he does 'Ghost Rider 2', and who should replace Michael Scott. Entertainment Weekly. 2010-10-24 [2011-07-05]. （原始内容存档于2011-07-05）. ^ Leslie, Gornstein. Q+LA Idris Elba. Los Angeles Times. May 2011 [2011-10-21]. （原始内容存档于2011-10-21）. ^ Truitt, Brian. Idris Elba talks 'Takers,' 'Thor' and a possible return to 'The Office'. USA Today. 2010-08-27 [2011-04-25]. （原始内容存档于2011-07-05）. ^ Belonsky, Andrew. Marvel Boycotted by White Supremacists. Death & Taxes. 2010-12-15 [2010-12-15]. （原始内容存档于2011-07-05）. ^ McClintock, Pamela. Black 'Thor' Actor Blasts Debate Over His Casting. The Hollywood Reporter. 2011-03-04 [2011-03-04]. （原始内容存档于2011-04-26）. ^ Child, Ben. White supremacists urge 'Thor' boycott over casting of black actor as Norse god. The Guardian. 2010-12-17 [2010-12-17]. （原始内容存档于2011-04-27）. ^ 34.0 34.1 McNary, Dave. Kat Dennings joins 'Thor' cast. Variety. 2009-11-24 [2009-11-25]. （原始内容存档于2011-07-04）. ^ Murray, Rebecca. Natalie Portman and Kat Dennings Discuss 'Thor'. The New York Times Company (About.com). July 2010 [2011-10-27]. ^ Boucher, Geoff. 'Thor': Kat Dennings says her character is 'very Scooby Doo'. Los Angeles Times. 2011-04-13 [2011-04-16]. （原始内容存档于2011-07-04）. ^ 37.0 37.1 Graser, Marc. Rene Russo joins cast of 'Thor'. Variety. 2009-12-16 [2009-12-17]. （原始内容存档于2011-07-05）. ^ 38.0 38.1 Fleming, Michael. Anthony Hopkins cast in 'Thor'. Variety. 2009-10-30 [2009-10-31]. （原始内容存档于2011-07-04）. ^ Carroll, Larry. EXCLUSIVE: Anthony Hopkins Talks 'Thor,' Says Thou Shalt Not Hear Shakespearean Talk. MTV News. 2010-02-09 [2010-02-15]. （原始内容存档于2011-07-04）. ^ 40.0 40.1 Boucher, Geoff. 'Thor' star Anthony Hopkins explains the ruthless charm of Odin. Los Angeles Times. 2010-02-16 [2010-02-16]. （原始内容存档于2011-07-04）. ^ Smith, Nigel M. Mel Gibson: ‘Some guy let me tattoo him. I drew squiggles’. The Guardian. UK. 2016-05-26 [2016-05-27]. （原始内容存档于2016-05-27）. ^ 42.0 42.1 42.2 Weintraub, Steve. Ray Stevenson (Volstag) and Joshua Dallas (Fandril) On Set Interview THOR. Collider. 2010-12-10 [2010-12-10]. （原始内容存档于2011-07-05）. ^ Exclusive: Zachary Levi talks possible early 'Chuck' return. USA Weekend. 2009-11-13 [2009-11-16]. （原始内容存档于2011-07-05）. ^ 44.0 44.1 Townsend replaced in Marvel Comics tale 'Thor'. The Stamford Times. 2010-01-10 [2011-05-10]. （原始内容存档于2011-07-05）. ^ Huzer, Scott. Your Next Nerd Crush: "Thor's" Jaimie Alexander. NBC New York. 2010-12-08 [2010-12-08]. （原始内容存档于2011-07-05）. ^ Martin, Michael. Jaimie Alexander. Interview. 2010-01-20 [2010-03-31]. （原始内容存档于2011-07-05）. ^ Filipponi, Pietro. Jaimie Alexander Describes Sif in Marvel's THOR as 'Stoic & Powerful'. The Daily Blam!. 2010-09-27 [2010-09-28]. （原始内容存档于2011-07-05）. ^ 48.0 48.1 Graser, Marc. Gregg pulls double duty. Variety. 2010-01-18 [2010-01-18]. （原始内容存档于2011-07-05）. ^ Adriana Barraza Cut From THOR's Final Product!. Comic Book Resources. 2011-03-30 [2018-08-12]. （原始内容存档于2018-08-17）. ^ Gallagher, Brian. Maximiliano Hernandez Will Return as Agent Sitwell in Marvel's Agents of S.H.I.E.L.D.. Movie Web. 2013-10-25 [2018-03-28]. （原始内容存档于2018-06-12）. ^ 51.0 51.1 Vejvoda, Jim. Russo, More Join Thor. IGN. 2009-12-17 [2009-12-18]. （原始内容存档于2011-07-05）. ^ Coratelli, Carlo. Intervista a Douglas Tait - Thor. Comicus.it. 2011-03-19 [2011-07-27]. （原始内容存档于2011-07-27）. ^ Stan Lee Confirms Thor Cameo. /Film. 2009-12-06 [2009-12-07]. （原始内容存档于2011-07-05）. ^ X-Men, Green Lantern, Red Sonja: March 18th Comic Reel. Comic Book Resources. 2010-03-18 [2010-03-18]. （原始内容存档于2011-07-05）. ^ Johnston, Rich. Stan, Joe, Walt And The Thunder God. Bleeding Cool. 2011-05-06. （原始内容存档于2016-03-05）. ^ 56.0 56.1 56.2 Kit, Borys. Jackson's Fury in flurry of Marvel films. Reuters. 2009-02-25 [2011-05-10]. （原始内容存档于2011-07-06）. ^ 57.0 57.1 Arrant, Chris. Hawkeye Confirmed For 'Thor' Cameo, Details of Hulk's 'Avengers' Role Revealed. MTV News. 2011-03-30 [2011-10-27]. （原始内容存档于2018-08-17）. ^ 58.0 58.1 Goldsmith, Jeff. Raimi well-suited for fantastic feats. Variety. 2006-07-18 [2008-03-01]. （原始内容存档于2011-07-05）. ^ Fleming, Michael. A Mania For Marvel. Variety]. 1997-04-14 [2008-03-01]. （原始内容存档于2011-05-01）. ^ Lethert, Jason. Thor's Hammer to Drop on the Big Screen?. Comics2Film.com. 2002-05-29 [2008-08-10]. （原始内容存档于2011-07-05）. ^ Fleming, Michael. Artisan deal a real Marvel. Variety. 2000-05-16 [2008-03-01]. （原始内容存档于2011-07-05）. ^ Fleming, Michael. Artisan, Marvel Pump Hero 'Punisher'. Variety. 2002-04-22 [2008-03-01]. （原始内容存档于2011-05-01）. ^ Brodesser, Claude. 'Spider' Provider Grows New Legs. Variety. 2004-06-13 [2008-03-01]. （原始内容存档于2011-05-01）. ^ 64.0 64.1 "Stax". Goyer on 'Thor'. IGN. 2004-12-13 [2008-03-01]. （原始内容存档于2011-07-05）. ^ Thor Hammers Sony. IGN. 2005-01-21 [2008-08-10]. （原始内容存档于2011-07-05）. ^ McClintock, Pamela. Marvel Making Deals for Title Wave. Variety. 2006-04-27 [2008-03-01]. （原始内容存档于2011-05-01）. ^ Gire, Dann. 'I am Legend' writer credits comics, horror films and pop culture. Daily Herald. 2007-12-23 [2008-03-02]. （原始内容存档于2009-06-06）. ^ Carle, Chris. Comic-Con 2006: Marvel Announces Three. IGN. 2006-07-03 [2008-08-10]. （原始内容存档于2011-07-05）. ^ Fleming, Michael. Matthew Vaughn to direct 'Thor'. Variety. 2007-08-09 [2009-05-28]. （原始内容存档于2011-07-06）. ^ Bamigboye, Baz. Matthew sprinkles 'Stardust' on the British film industry. Daily Mail (London). 2007-11-16 [2008-03-02]. （原始内容存档于2011-07-06）. ^ 'Iron Man 2' Coming in 2010. Entertainment Weekly. 2008-05-06 [2011-10-27]. （原始内容存档于2018-08-17）. ^ The Complete History of Marvel: Team Players. Total Film. 2011-10-10 [2011-10-11]. （原始内容存档于2018-08-17）. ^ 73.0 73.1 Davis, Erik. 'Thor' Needs New Director, Hulk to Cameo in 'Iron Man 2'?. The Hollywood Reporter (Cinematical). 2008-05-08 [2009-05-28]. （原始内容存档于2011-07-06）. ^ 74.0 74.1 Marshall, Rick. Guillermo Del Toro Explains How Close He Came To Directing 'Thor'. MTV.com. 2009-06-11 [2012-05-05]. ^ BrentJS. Guillermo del Toro Sets the Record Straight on His Involvement with Thor and Dr. Strange and Updates The Hulk TV Series. Reelz. 2011-08-14 [2012-05-05]. （原始内容存档于2011-12-13）. ^ Sanchez, Robert. Is There a D.J. in 'Thor's Future?. IESB. 2008-09-08 [2008-09-09]. （原始内容存档于2011-07-06）. ^ Fleming, Michael. Branagh in talks to direct 'Thor'. Variety. 2008-09-28 [2008-09-29]. （原始内容存档于2011-07-06）. ^ 78.0 78.1 Horowitz, Josh. EXCLUSIVE: Kenneth Branagh Breaks Silence On ‘Thor,’ Says Casting Talk Is Premature. MTV.com. 2008-12-13 [2008-12-13]. （原始内容存档于2009-06-06）. ^ Wigler, Josh. Kenneth Branagh Says 'Thor' Filming To Begin in January, Hints at Potential Lead. MTV Splash Page. 2009-05-04 [2009-05-04]. （原始内容存档于2009-06-06）. ^ Marshall, Rick. Marvel Movies Get New Release Dates: 'Thor', 'The Avengers' & 'Captain America' Delayed, 'Iron Man 2' Unchanged. MTV Splash Page. 2009-05-12 [2009-05-12]. （原始内容存档于2011-07-06）. ^ McClintock, Pamela. 'Transformers 3' gets a date. Variety. 2009-03-16 [2010-01-27]. （原始内容存档于2011-07-06）. ^ Sciretta, Peter. Daniel Craig Turns Down Thor. /Film. 2008-10-21 [2015-05-07]. （原始内容存档于2015-05-07）. ^ Yamato, Jen. Sam Jackson's Nick Fury Set For 'Captain America,' But Not 'Thor'. Cinematical. 2010-04-19 [2010-04-20]. （原始内容存档于2011-07-06）. ^ Davis, Erik. Sam Jackson Confirms Nick Fury Cameos in 'Captain America' and 'Thor'. NBC (Cinematical). 2011-02-03 [2011-02-03]. （原始内容存档于2011-07-06）. ^ Brady, Matt. Cast-Off: Thor! Who Should Play Thor?. Newsarama. 2009-03-10 [2011-10-27]. （原始内容存档于2018-08-17）. ^ 86.0 86.1 Billington, Alex. Profile on Marvel Studios with Big Updates from Kevin Feige. Firstshowing.net. 2009-06-07 [2010-01-27]. （原始内容存档于2011-07-06）. ^ Kit, Borys. Lightning strikes two more actors for "Thor". The Hollywood Reporter (Reuters). 2009-09-23 [2011-10-21]. （原始内容存档于2011-10-21）. ^ Fleming, Mike. Hopkins Joins "Thor". Variety. 2009-10-29 [2018-08-14]. （原始内容存档于2011-07-17）. ^ Goldberg, Matt. MY SUPER EX-GIRLFRIEND Screenwriter Don Payne to Write THOR 2. Collider. 2011-07-01 [2018-08-14]. （原始内容存档于2018-08-17）. ^ Manning, Matthew K.; Gilbert, Laura, ed. 2000s. Marvel Chronicle A Year by Year History. London, United Kingdom: Dorling Kindersley. 2008: 337. ISBN 978-0756641238. With his impressive run ending on The Amazing Spider-Man, writer J. Michael Straczynski decided to tackle another of Marvel's iconic pantheon – Thor. ^ Thor (2011) Full Cast & Crew. IMDb. [2018-08-14]. （原始内容存档于2016-11-17）. ^ Under the Microscope: Thor. The Science & Entertainment Exchange. National Academy of Sciences. [2011-05-24]. （原始内容存档于2011-07-06）. ^ Warmoth, Brian. Exclusive: Kat Dennings Joins 'Thor' Cast, Reveals Co-Star Natalie Portman. "Splash Page" (column), TMV.com. 2009-11-23 [2009-11-23]. （原始内容存档于2011-05-01）. ^ Kit, Borys. 'Babel' actress joining Marvel's 'Thor'. The Hollywood Reporter. 2010-01-07 [2010-01-07]. （原始内容存档于2011-01-24）. ^ McClintock, Pamela. 'Thor' set to bow May 6, 2011. Variety. 2010-01-06 [2010-01-06]. （原始内容存档于2011-05-11）. ^ Marvel Signs Long-Term Lease with Raleigh. Raleigh Studios press release. 2008-10-06 [2010-01-04]. . WebCitation archive. ^ Baxter, Joseph. Thor To Begin Filming in Mid January. G4. 2009-11-13 [2011-05-02]. （原始内容存档于2011-07-06）. ^ Thor Movie: Principal Photography Starts!. Marvel.com. 2010-01-11 [2010-01-11]. （原始内容存档于2011-05-11）. ^ 99.0 99.1 Archived copy. [2011-07-04]. （原始内容存档于2011-07-04）. ^ Superhero coming to town. Del Mar Times. 2010-02-11 [2011-04-27]. （原始内容存档于2011-04-27）. ^ Tablang, Kristin. Tom Ford's Luxurious New Mexico Ranch Lists at $75 Million. Forbes. 2016-08-12 [2017-09-22]. （原始内容存档于2017-09-22）. ^ Bord, Christine. 'Thor' Begins Filming in New Mexico on Monday. OnLocationVacations.com. 2010-03-11 [2010-03-15]. （原始内容存档于2011-07-06）. ^ Thor Production Notes. Paramount. [2011-12-29]. （原始内容存档于2011-12-03）. ^ 104.0 104.1 Horn, Jonathan. No 'Thor' for Del Mar. Del Mar Times. 2010-04-15 [2010-05-11]. （原始内容存档于2011-07-06）. ^ Hollywood Insider : Thor back in front of the cameras. What's Playing. 2010-10-10 [2010-10-10]. （原始内容存档于2011-07-06）. ^ Adriana Barraza, fuera de 'Thor'. Esmas.com. 2011-03-31 [2011-03-31]. （原始内容存档于2011-07-06） （西班牙语）. ^ Coratelli, Carlo. Intervista a Douglas Tait - Thor. Comicus. 2011-03-19 [2011-03-23]. （原始内容存档于2011-07-06）. ^ The Deadline Team. 'Thor' To Be Released in IMAX 3D. Deadline.com. 2011-04-20 [2011-10-21]. （原始内容存档于2011-10-21）. ^ Boucher, Geoff. It's official: 'Thor' and 'Captain America' will be 3-D films. Los Angeles Times. 2010-07-14 [2010-07-14]. . WebCitation archive. ^ Hewitt, Chris. Stellan Skarsgard Talks Thor Sting. Empire. 2011-05-20 [2011-05-23]. （原始内容存档于2011-07-06）. ^ Hopewell, John; Keslassey, Elsa. Films draw French rebates. Variety. 2010-02-02 [2010-02-02]. （原始内容存档于2011-07-06）. ^ Digital Domain Announces Vancouver Leadership Team. Digital Domain. 2010-01-12 [2010-02-02]. （原始内容存档于2011-07-06）. ^ 113.0 113.1 Desowitz, Bill. Branagh's VFX Journey with Tho. Animation World Network. 2011-05-06 [2011-05-13]. （原始内容存档于2011-07-06）. ^ 114.0 114.1 Frei, Vincent. THOR: Paul Butterworth – VFX Supervisor & Co-founder – Fuel VFX. The Art of VFX. 2011 [2012-07-12]. （原始内容存档于2018-08-17）. ^ 115.0 115.1 Schweiger, Daniel. Interview With Composer Patrick Doyle. Film Music Magazine. 2011-05-03 [2011-08-07]. （原始内容存档于2018-08-17）. ^ 'Thor' Soundtrack announced. Film Music Reporter. 2011-03-25 [2011-03-28]. （原始内容存档于2011-07-06）. ^ 118.0 118.1 118.2 Boucher, Geoff. 'Thor': Foo Fighters take a 'Walk' with Marvel film. Los Angeles Times. 2011-04-15 [2011-04-15]. （原始内容存档于2011-07-06）. ^ On the Spot: Kenneth Branagh’s THOR World Premiere in Sydney!. The Spotlight Report. 2011-04-18 [2011-10-21]. （原始内容存档于2011-10-21）. ^ 120.0 120.1 Learn Thor's International Release Dates. Marvel.com. 2010-11-10 [2010-11-23]. （原始内容存档于2011-05-01）. ^ Watch the U.S. Premiere of Thor, LIVE on Marvel.com. Marvel.com. 2011-04-26 [2011-04-27]. （原始内容存档于2011-07-06）. ^ 122.0 122.1 Thor (2011). Rotten Tomatoes. [2018-04-17]. （原始内容存档于2018-07-29）. ^ 'Thor' Footage From Comic-Con Leaked – But It Was Pirated. Deadline.com. [2011-10-21]. （原始内容存档于2011-10-21）. ^ 124.0 124.1 McClintock, Pamela. EXCLUSIVE: Studios Set Super Bowl Ads; 'Pirates,' 'Transformers,' 'Captain America'. The Hollywood Reporter. 2011-01-19 [2011-01-20]. （原始内容存档于2011-02-13）. ^ Acura and Marvel Entertainment Announce Exclusive Co-Promotion Campaign for THOR. Honda. 2011-04-20 [2011-10-27]. （原始内容存档于2018-08-17）. ^ Graser, Marc. Brand tie-ins for 'Thor' and more.. Variety. 2011-03-31 [2011-03-31]. （原始内容存档于2011-07-06）. ^ The Mighty Thor and Marvel Execs to Ring Closing Bell at NYSE. Comic Book Resources. 2011-05-02 [2011-05-02]. ^ Marshall, Rick. New 'Thor: Tales Of Asgard' Trailer. MTV Splash Page. 2010-02-08 [2010-02-08]. （原始内容存档于2011-07-06）. ^ Kit, Borys. MAR 31 3 YEARS 'Thor: Tales of Asgard' Clip. The Hollywood Reporter. 2011-03-31 [2014-05-15]. （原始内容存档于2018-08-17）. ^ Harvey, James. Hi-Res Promotional Image From Upcoming "Thor" Animated Series, Press Release. marvel.toonzone.net. 2008-11-17 [2010-09-12]. （原始内容存档于2011-07-06）. 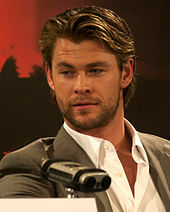 ^ 131.0 131.1 SEGA Inks Actors Chris Hemsworth and Tom Hiddleston to Star in the Video Game Thor: God of Thunder. Business Wire. 2010-12-02 [2010-12-02]. （原始内容存档于2011-07-06）. ^ Thor Reviews. Metacritic. CBS Interactive. [2011-07-30]. （原始内容存档于2011-07-06）. ^ CinemaScore. CinemaScore. [2017-12-30]. （原始内容存档于2018-01-02）. ^ Kuipers, Richard. Thor. Variety. 2011-04-17 [2011-04-18]. （原始内容存档于2011-07-06）. ^ Roeper, Richard. Thor Review. Chicago Sun-Times. RichardRoeper.com. [2011-05-03]. （原始内容存档于2011-07-06）. ^ Gleiberman, Owen. Thor Review - Chris Hemsworth. Entertainment Weekly. 2012-07-28 [2018-08-16]. ^ Ebert, Roger. "Thor" is not a Meet Cute for the gods.. Chicago Sun-Times. 2011-05-11 [2011-05-12]. （原始内容存档于2011-07-06）. ^ Scott, A.O. Have Golden Locks, Seeking Hammer. The New York Times. 2011-05-05 [2011-05-09]. （原始内容存档于2018-08-17）. ^ 139.0 139.1 Turan, Kenneth. Movie Review: 'Thor'. Los Angeles Times. 2011-05-06 [2011-05-07]. （原始内容存档于2011-07-06）. ^ 2011 DOMESTIC GROSSES. Box Office Mojo. [2012-03-06]. （原始内容存档于2018-09-07）. ^ 2011 WORLDWIDE GROSSES. Box Office Mojo. [2012-03-06]. （原始内容存档于2018-08-17）. ^ 142.0 142.1 McClintock, Pamela. 'Thor' Earns $3.3 Million in Midnight Opening Friday. The Hollywood Reporter. 2011-05-06 [2013-11-08]. （原始内容存档于2011-05-09）. ^ 143.0 143.1 143.2 143.3 Gray, Brandon. Friday Report: 'Thor' Wields Mighty First Day. Box Office Mojo. 2011-05-07 [2012-03-06]. （原始内容存档于2018-08-17）. ^ 144.0 144.1 144.2 144.3 144.4 Gray, Brandon. Weekend Report: 'Thor' Thwacks It Within the Park. Box Office Mojo. 2011-05-09 [2012-03-06]. （原始内容存档于2018-06-19）. ^ Subers, Ray. Weekend Report: 'Thor' Holds on to Throne, 'Bridesmaids' a Strong Second. Box Office Mojo. 2011-05-16 [2018-08-17]. （原始内容存档于2018-08-17）. ^ Gray, Brandon. Weekend Report: 'Pirates' Rides Smaller 'Tides'. Box Office Mojo. 2011-05-23 [2018-08-17]. （原始内容存档于2018-08-17）. ^ Kaufman, Amy. 'Fast Five' races ahead of 'Thor' overseas. Los Angeles Times. 2011-04-24 [2011-04-24]. （原始内容存档于2011-07-06）. ^ Subers, Ray. Around-the-World Roundup: 'Thor' Conquers, 'Fast' Speeds Up. Box Office Mojo. 2011-05-03 [2011-05-07]. （原始内容存档于2011-07-06）. ^ Thor (2011) Foreign. Box Office Mojo. [2012-03-06]. （原始内容存档于2018-08-17）. ^ 李世珍. 《變形金剛3》制霸2011洋片榜 吸7.6億攻台票房王. 蘋果日報. 2011-12-24 [2019-02-11]. ^ SCREAM 2011. Spike TV. [2011-09-07]. （原始内容存档于2011-09-23）. ^ People's Choice Awards 2012 Nominees. People's Choice Awards. [2011-11-09]. （原始内容存档于2012-01-09）. ^ King, Susan. 'Tintin' and HBO's 'Boardwalk Empire' lead Visual Effects nominations. Los Angeles Times. 2012-01-09 [2012-01-12]. ^ O'Hara, Helen. The Awards Nominations Are Here!. Empire. 2012-03-05 [2012-03-06]. （原始内容存档于2012-03-06）. ^ Best Hero Nominees. MTV. [2012-06-05]. （原始内容存档于2012-06-05）. ^ Nominations for the 38th Annual Saturn Awards. Saturn Award. Academy of Science Fiction, Fantasy & Horror Films. 2012-02-29 [2012-02-29]. （原始内容存档于2012-02-29）. ^ White, Cindy. Exclusive: Thor DVD and Blu-ray Detail. IGN. 2011-07-11 [2011-07-12]. （原始内容存档于2011-07-12）. ^ Marshall, Rick. Kenneth Branagh Talks 'Thor' Deleted Scenes And DVD. MTV News. 2011-05-02 [2011-07-12]. （原始内容存档于2011-07-12）. ^ Arnold, T.K. 'Thor' Storms to No. 1 on DVD, Blu-ray Charts. The Hollywood Reporter. 2011-09-21 [2011-09-22]. （原始内容存档于2011-09-22）. ^ Lee, Jason. 'Marvel Cinematic Universe' 10-disc Blu-ray set announced. HD-Report. 2012-06-06 [2012-06-12]. （原始内容存档于2012-11-03）. ^ Breznican, Anthony. Marvel's delayed 'Phase One' box set to now feature 'Phase Two' tease -- VIDEO. insidemovies. 2012-11-20 [2012-11-20]. （原始内容存档于2018-07-06）. ^ Belloni, Matthew. 'Game of Thrones' Director Alan Taylor Chosen for 'Thor 2'. The Hollywood Reporter. 2011-12-24 [2011-12-26]. （原始内容存档于2011-12-26）. ^ Fleming, Mike. Marvel And Disney Setting 'Thor 2' For Summer 2013; Chris Hemsworth's Back But Kenneth Branagh Won't Return. Deadline.com. 2011-06-30 [2011-07-01]. （原始内容存档于2011-07-06）. ^ Fleming, Mike. TOLDJA! Patty Jenkins Confirmed as 'Thor 2' Director. Deadline.com. 2011-10-13 [2011-10-13]. （原始内容存档于2011-10-13）. ^ Warner, Kara. 'Thor 2' Director Not Set Yet, Says Tom Hiddleston. MTV News]. 2011-09-01 [2011-09-19]. （原始内容存档于2011-09-19）. ^ Pape, Stefan. King of Devil's Island Interview – Stellan Skarsgård. HeyUGuys.co.uk. 2012-06-28 [2012-06-28]. （原始内容存档于2012-06-28）. ^ Hibberd, James. 'Dexter' scoop: Ray Stevenson joins season 7 — Exclusive. Entertainment Weekly. 2012-04-24 [2012-04-25]. （原始内容存档于2012-04-25）. ^ Ghost Rider: Spirit of Vengeance – Idris Elba Interview (video). IGN. 事件发生在 0:35. 2011-08-05 [2011-09-19]. （原始内容存档于2012-02-11）. ^ Patten, Dominic. '2 Broke Girls' Kat Dennings Back In 'Thor 2'. Deadline.com. 2012-08-21 [2012-08-21]. （原始内容存档于2012-08-22）. ^ Malkin, Marc. Thor's Chris Hemsworth: "He's Huge," Gushes Costar. E! Online. 2011-03-21 [2011-03-22]. （原始内容存档于2011-07-05）. ^ Vineyard, Jennifer. Rene Russo Wants to Brush Up on Her Comic-Book History Before Thor 2. New York. 2012-07-31 [2012-08-02]. （原始内容存档于2012-08-02）. ^ Fleming, Mike. Anthony Hopkins Up For 'Red 2' Villain; Can 'Thor' Sequel Dates Work?. Deadline.com. 2012-05-24 [2012-05-24]. （原始内容存档于2012-05-24）. ^ Wigler, Josh. Jamie Alexander Teases 'Thor 2' Romance, Possible 'Avengers' Appearance. MTV News. 2012-01-11 [2012-01-11]. （原始内容存档于2012-01-11）. ^ 'Thor: The Dark World' Character Descriptions (Minor Spoilers). StitchKingdom.com. 2013-09-04 [2013-09-04]. （原始内容存档于2013-09-17）. ^ Fleming, Mike. We Have A 'Thor 2' Villain: Christopher Eccleston To Play Malekith The Accursed. Deadline.com. 2012-08-01 [2012-08-01]. （原始内容存档于2012-08-02）. ^ McNary, Dave. 'Lone Ranger' to get July 2013 release. Variety. 2012-05-31 [2012-06-01]. （原始内容存档于2012-06-01）.